View from the rear cab of 150 927 as the Great Western Tracker II passes through Laira Depot, now on Through Siding 3 having come along Through Siding 2 and crossed over. 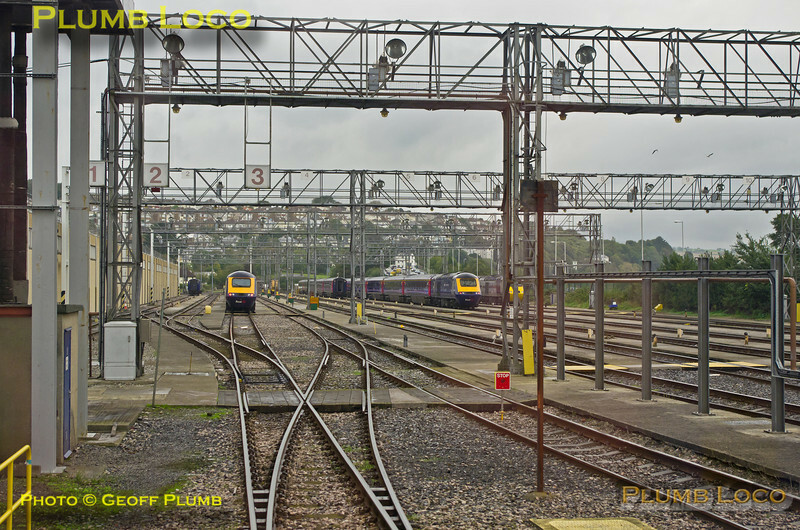 The HST shed is on the left with Through Siding 1 alongside and Through Siding 4 is about to converge into 3. Immediately to the right is the tank road and Through Siding 5 is to the right of that. On the far right are roads 6 to 10 - the Embankment Sidings. 13:29, Saturday 12th October 2013. Digital Image No. IGMP1572.